⬅ Holy Name and Holy Face Cards! It’s imperative. 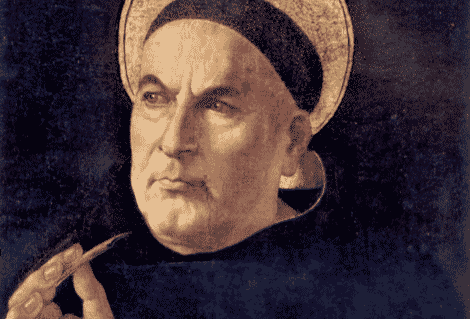 You must understand the teaching of Thomas Aquinas on Natural Law. It’s absolutely essential in a culture and era that misunderstands the nature of human marriage, conception, life, and natural death. So what do you need to know? I wrote my PhD dissertation on Natural Law (Titled: “Thomas Aquinas on Natural Law and the Twofold End of Humanity), and I hope to publish it in the next few years. God designed natural law so that humans participate in God’s eternal law. As rational creatures we can determine and seek that which is good and avoid that which is evil. According to Thomas Aquinas, the first precept of natural law is “good is to be done and pursued, and evil is to be avoided.” Every subsequent moral precept is based on this “first precept of natural law.” (By the way, you should memorize the underlined quote and never forget it. It is very useful and it will strengthen your understanding of natural law). The #1 mistake people make about natural law is that they assume that natural law is secular and non-religious. Not true according to Saint Thomas Aquinas. 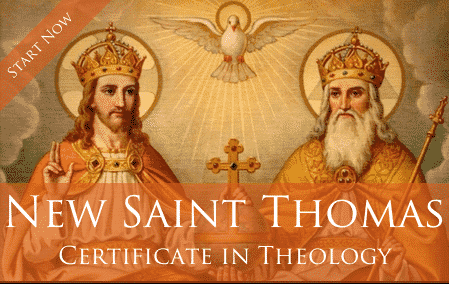 Saint Thomas teaches that the virtue of religion, sacrifice, holidays, and even a natural priesthood pertains to the natural law. Moreover, avoiding idols and worshipping the Creator are derived precepts of the natural law. Natural law is common to all the nations. It doesn’t matter if you’re a Christian, Muslim, Jew, Hindu, Buddhist, Daoist, animist…natural law applies to you. This means that the testimony of natural law leads one to have a true religion. Thomas Aquinas would say that natural law in the heart of man would argue against idolatry, polytheism, atheism, etc. Hence, the idolatry of, say, Hinduism is banned under natural law. As you can see, natural law is a bit more complicated than you might have guessed. The important take away is that every single human person has natural law and that means that all human persons can appeal to each other in the name of natural law. What’s great about this is that we appeal to natural law by appealing to nature and even natural science. We can debate marriage by examining the natural end of male and female anatomy and the propagation of the human species. We can study DNA and human conception to make arguments about the dignity of human life and the morality of abortion and contraception. We can also argue about euthanasia by examining end-of-life vital signs observed through medical research. All this can be done without recourse to the Bible or Tradition (Divine Law). Nevertheless, Thomas Aquinas would say that the only way to change the minds of a group of humans under original sin is to the bring them the healing grace of the New Law (New Testament in Christ). Under original sin, humans as a society or nation will never naturally reason themselves to a perfect knowledge of natural law. This is a topic that we will be studying in the New Saint Thomas Institute, so if you’re a Member, stay tuned. – an online school for studying orthodox Catholic theology and Thomas Aquinas. You can also earn a Certificate in Theology with low tuition. Discover more about NSTI benefits and options by clicking here. NOTICE: There is now a Wait List to join the New Saint Thomas Institute. If you would like to join and be notified for priority enrollment, please click here.